Rosa Salazar stars as Alita, a cyborg with a mysterious past in the big budget sci-fi thrill ride "Alita: Battle Angel." Based on the iconic manga series "Battle Angel Alita," directed by Robert Rodriguez and co-written by James Cameron, this effects-heavy film is a sprawling dystopian epic featuring high-tech sporting events, bounty hunting, and interchangeable limbs. Christoph Waltz, Jennifer Connelly and Mahershala Ali co-star. 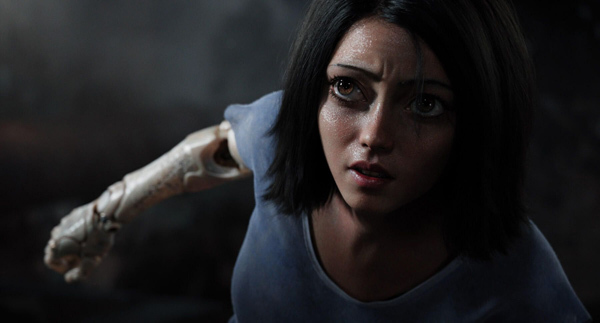 In his review of "Alita: Battle Angel" at IGN, William Bibbiani calls the film "an astounding-looking motion picture, which crams so much plot into one film that there’s practically no room for the actual point."